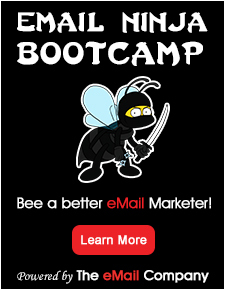 TailoredMail is one of the most innovative email-marketing tools in the market. In just minutes, you can build newsletters and marketing-automation-campaigns that deliver ONLY the content your subscribers are interested in. Include dynamic video INSIDE each email. Add sign-up widgets and surveys to your website. Send mobile-users to app-like landing pages. The innovations in TailoredMail are truly second-to-none, and give you next-generation marketing capabilities in one simple-to-use interface. It’s why we earned a Stevie Award and ClickZ Award for marketing automation. Designed for the individual email marketer (or even a team of marketers) at every level of marketing experience and technical aptitude, TailoredMail has all of the tools required to deliver relevant email content to your audience and make your campaigns increasingly effective through time. With TailoredMail you can create/design ANY kind of email (scheduled or automated), landing-page, microsite, preference-center pages, surveys, social-media posts, integration with your Facebook Fan Page – heck, even the website you’re viewing right now is fully authored and hosted within TailoredMail. It’s a one-of-a-kind content-management system that gives you a full-featured email marketing and publishing platform. Not only do we offer invaluable tracking of users, their mobile devices, their social sharing, their interests – we also tell you what they did on your website. Now you can measure the effectiveness of your campaigns AFTER they click the email. TailoredMail is one-of-a-kind in that it allows you to thematically ‘tag’ any and all of your links and pages, and have the system ‘learn’ what specific prospects are interested in. You can set “goals” and triggers, such as sending a salesperson an alert when clients visit your site, or specific pages. You can even trigger to have, for example, a person who clicks your pricing-page to be automatically sent a follow-up email a day or two later. Extensive options exist to help you perfect the success of your campaigns. For example, you can set up to 5 different subject lines – send them to a subset of your list – and have the system ‘pick a winner’ after an hour/day, and resume the broadcast with that subject line to the remainder in your list. We also offer built-in deliverability and layout testing so you can see what your emails will look like in 30+ different desktop, web and mobile email clients.